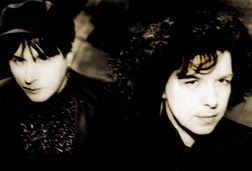 Passion Noire was a German dark wave/cold wave band, formed in 1990 in Cologne, North Rhine-Westphalia. In 1991, they signed to Dion Fortune Records and released their debut 12" „Smell of Spring“. Shortly after, the band's first album „As Time Goes by“ was released. It contains the single „Sister Moon“, Passion Noire's greatest hit.